We’ve selected what we feel are the key examples of Milan Buildings, Lombardy, Italy. We aim to include projects that are either of top quality or interesting. We cover completed Milan buildings and architecture competitions across Lombardy. The focus is on contemporary North Italian buildings. We have 3 pages of Milan AArchitecture selections with links to numerous individual project pages. 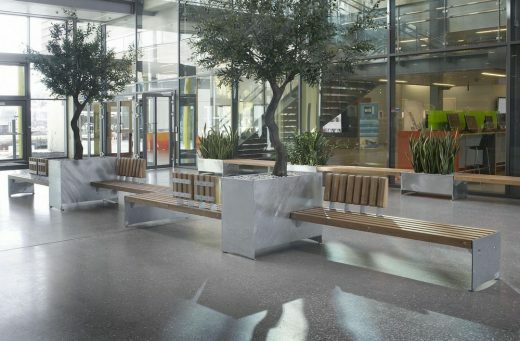 The Norwegian way of using street furniture to create accessible and attractive public spaces made its way to the European scene. MAD Architects presents their research proposal Historical Future: Milan Reborn for the Scali Milano project, community-reactivation masterplan research headed by FS Sistemi Urbani (FS Urban Systems) and Comune di Milano (the Municipality of Milan) with the support of Regione Lombardia (Lombardy Region). Italy’s tallest building can be seen from up to six miles away. The tower is topped by a structural stainless steel spire. The tower, its sister buildings Porta Nuova Garibaldi Tower B and Porta Nuova Garibaldi Tower C and their podium make up the largest components of Porta Nuova Garibaldi, a mixed-use development north of the city centre. The future new building designed by arcHITects srl located in Milan near the new developing area “Porta Nuova – Varesine” is now under construction. The project is based on value of permeability between the parts and the relationship of the interior with the exterior. 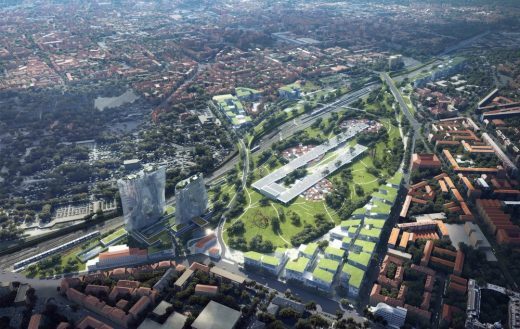 The project for the Endless Tower contributes to the redevelopment of the former trade fair area in Milan. The building is part of the program for the redevelopment of the historic trade fair area in Milan, the object of an international competition in 2003 by Fondazione Fiera and won by CityLife with architectural projects by Arata Isozaki, Daniel Libeskind, and Zaha Hadid. Playful proposals unveiled for the Bocconi University Campus. The design is typical for SANAA with organic forms and a central green space. 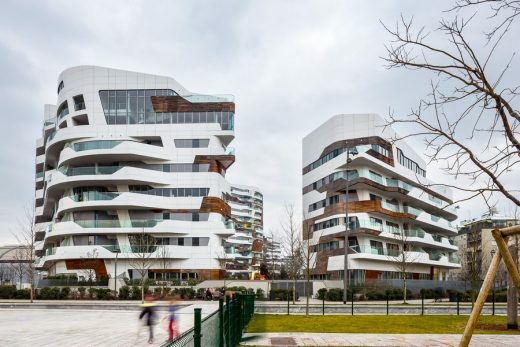 Key elements of the design are a 17,500 sqm public park wwith surrounding dormitories, School of Management, buildings for Bocconi’s Master and Executive programmes and a recreation centre. Milano is the second stop on the European tour of THE CUBE, a nomadic, stateless and cosmopolitan piece of architecture, a pavillion designed to host a small, temporary restaurant. Originating from Electrolux’s concept of an itinerant restaurant. The design of the pavilion, as well as the interior design, was developed by the Italian firm Park Associati, Milano; Logo and Texture Design by Studio FM Milano. The project for the Endless Tower, by Arata Isozaki & Andrea Maffei Associates, contributes to the redevelopment of the former trade fair area in Milan. The building is part of the program for the redevelopment of the historic trade fair area in Milan, the object of an international competition in 2003 by Fondazione Fiera and won by CityLife with architectural projects by Arata Isozaki, Daniel Libeskind, and Zaha Hadid.